Mmm, mmm! These will go fast so be sure to have extra on hand! I’m always looking for new yummy appetizers to serve when we’re having friends over. This is especially the case around the holidays. With so much going on this time of year, I always go with fast and fabulous. I truly believe you don’t have to wear yourself out to host a delicious and fun night with your people. In fact, I try to serve tasty fuss-free food so I can relax and enjoy spending time with my guests. 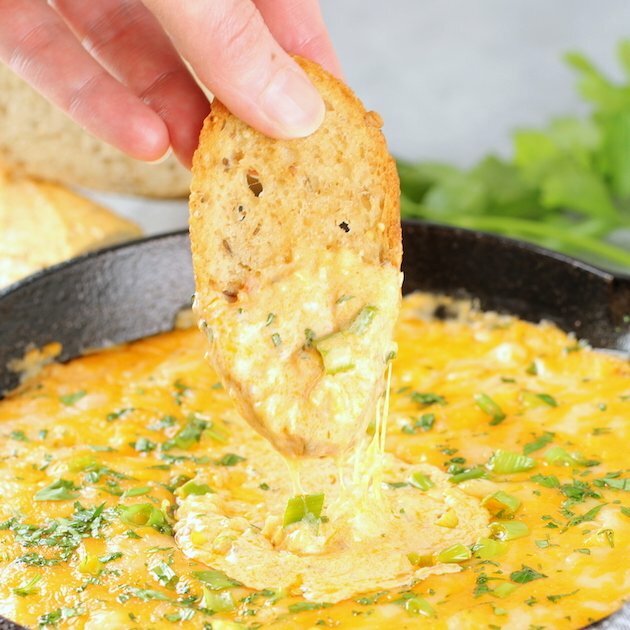 Today’s recipe totally fits the bill… a delicious and easy appetizer that’s ready to serve in less than 20 minutes. 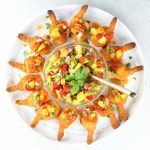 I give you these incredible Crispy Firecracker Shrimp! 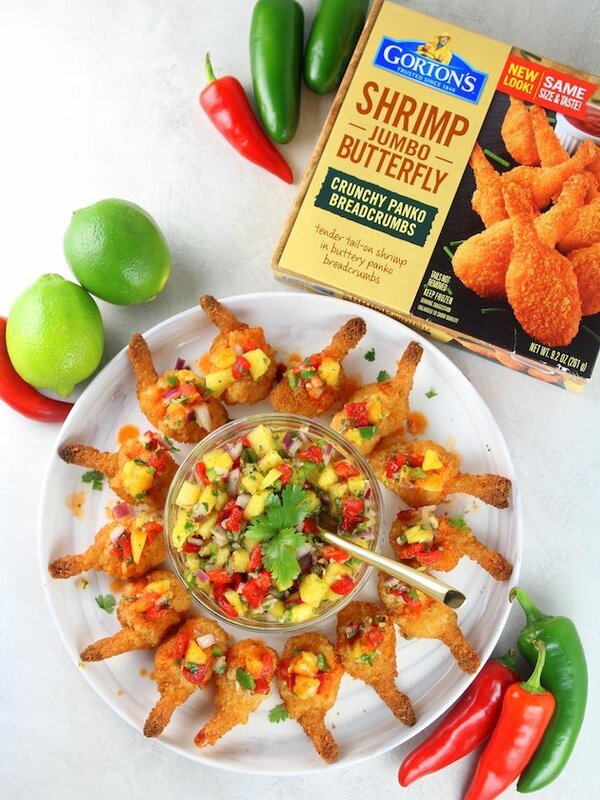 We’re using Gorton’s Crunchy Butterfly Shrimp to keep this recipe completely stress-free! 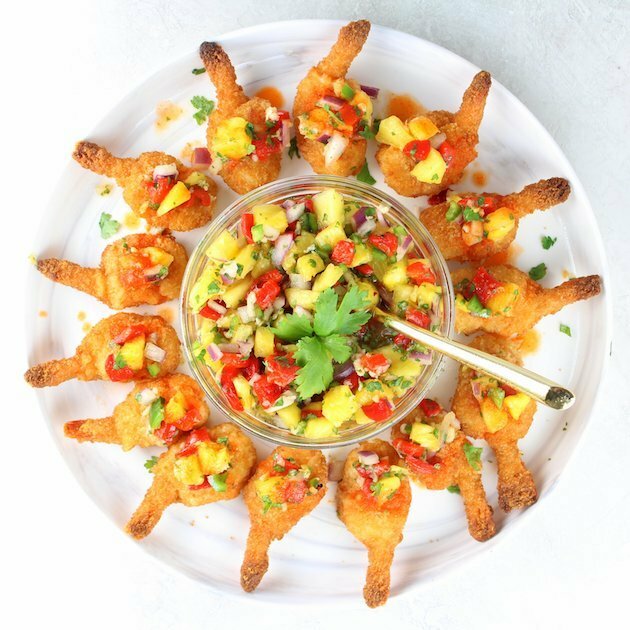 Their tender tail-on jumbo shrimp are lightly breaded in buttery panko breadcrumbs making them the perfect choice for this yummy holiday appetizer. 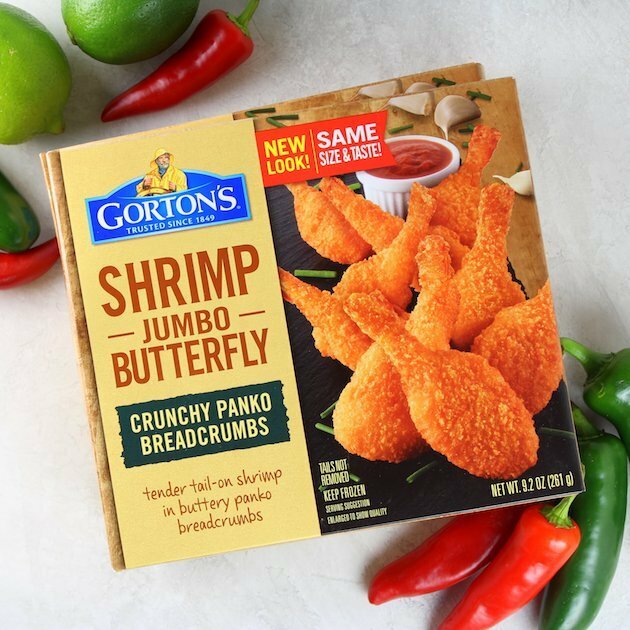 We know we can trust that Gorton’s Seafood is always fresh and delicious. And it should be… because they’ve been delivering high-quality fish and shrimp for over 160 years! With all that expertise I’m thinking they know what they’re doing. Plus, I appreciate their commitment to sustainability and minimizing their environmental impact. Gorton’s = winning! Are you ready to get this party started??!! The Crispy Firecracker Shrimp party that is! First, you get your crunchy shrimp baking in a 425 degree oven for 16 minutes. While they’re cooking you prepare the pineapple relish and the firecracker sauce. The relish includes pineapple, cilantro, jarred red peppers, red onion, honey and lime juice. It’s so fresh and bright! Truly the best balance of sweet and sour flavors, and when paired with the buttery crunchy shrimp it’s out-of-this-world delicious! But wait, there’s more… the firecracker sauce!! It’s so simple but sooo good! 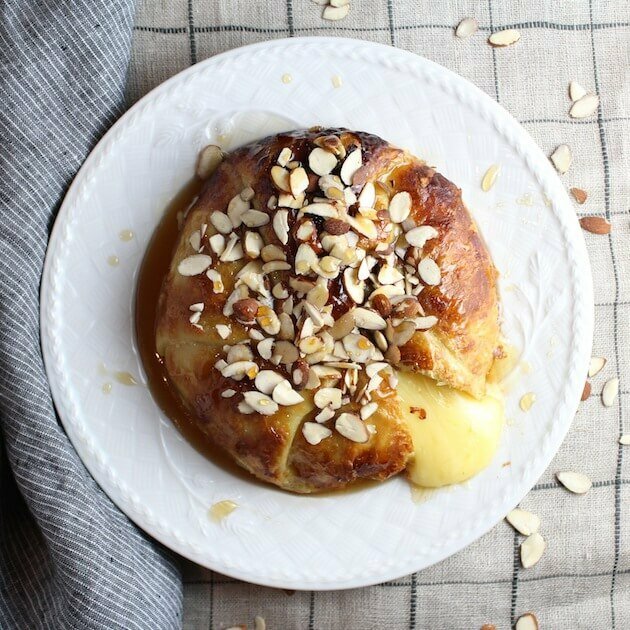 It adds a little heat to this yummy holiday appetizer situation. And it only requires 3 ingredients: chili sauce, honey and lime juice. Ahhh-mazing! 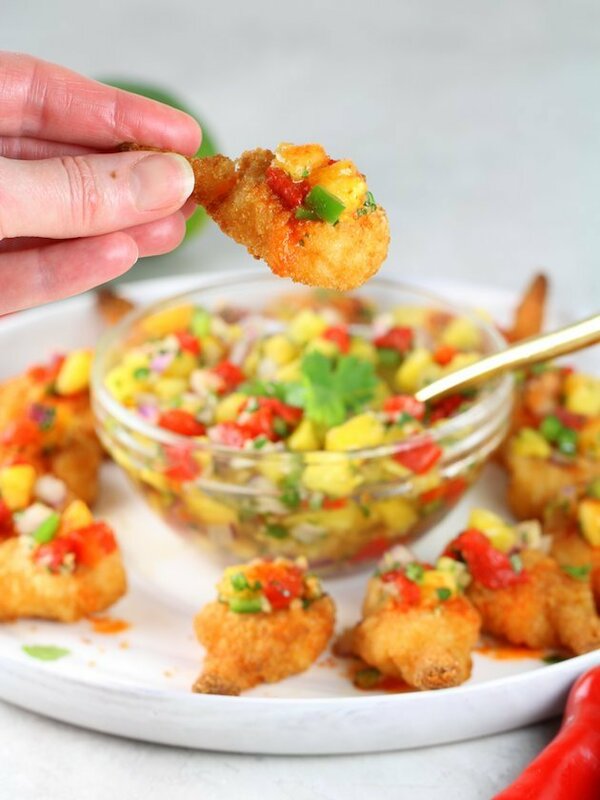 You and your guests are gonna love this easy and tasty Firecracker Shrimp. It’s the perfect stress-free starter for all your holiday entertaining needs! 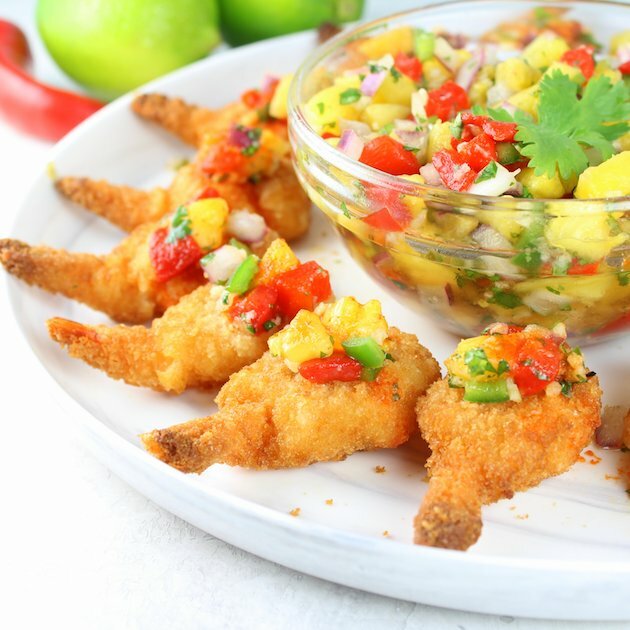 Firecracker Shrimp with Pineapple Relish... an easy, stress-free appetizer your guests will devour! Preheat oven to 425F. Bake shrimp on a parchment-lined baking sheet for 10 minutes, then flip and bake another 6 minutes. Meanwhile, prep all Pineapple Relish ingredients and combine in a small mixing bowl. In a separate small bowl, create the Firecracker Sauce by combining Sriracha, honey, and lime. To serve, add a small amount of firecracker sauce to each shrimp (add more if you want more heat on your shrimp! 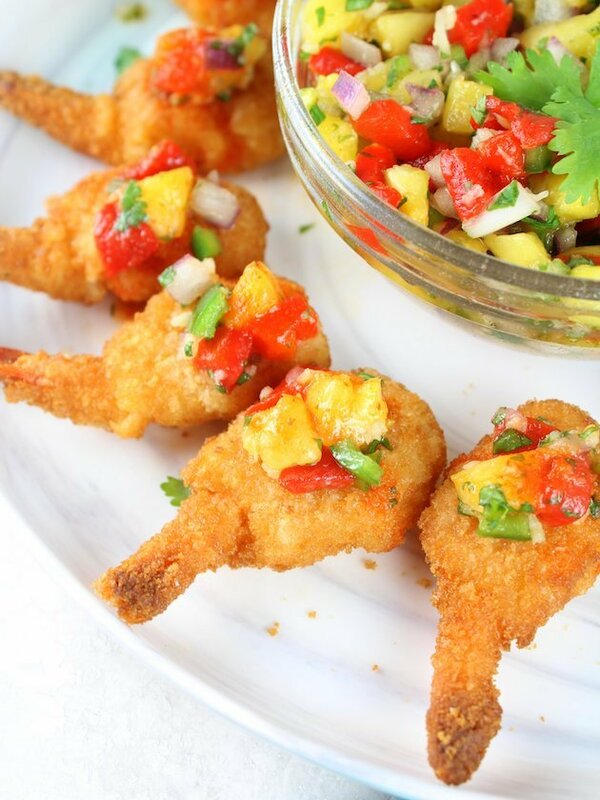 ), then finish each shrimp with the Pineapple Relish and enjoy! Looking for more awesome easy holiday appetizers?